Edwards Lifesciences (NYSE:EW) said today that it made a pair of strategic bets on the structural heart space, paying $35 million for the right to acquire Corvia Medical and paying an unspecified amount for some of mitral valve repair device maker Mitralign‘s assets. Tewksbury, Mass.-based Corvia is developing an interatrial shunt to treat heart failure by creating a small opening between the left and right atria to lower blood pressure in the left atrium and lungs. The device has CE Mark approval in the European Union and a pivotal U.S trial aimed at winning a nod from the FDA is under way, Edwards said. The Irvine, Calif.-based company also said it bought “certain” Mitralign assets, including intellectual property and associated clinical and regulatory experience. Mitralign, also based in Tewksbury, is developing an annuloplasty system for treating functional mitral and tricuspid regurgitation. Edwards said the transactions are not expected to affect its financial outlook for 2019. Left ventricular outflow tract obstruction (LVOTO) is a recognised feature of this condition which arises when blood leaving the outflow tract is impeded by systolic anterior motion of the mitral valve. LVOT obstruction was defined as a resting LVOT gradient of ≥30 mm Hg, with severe obstruction defined as ≥50 mm Hg (15). Left ventricular outflow tract (LVOT) obstruction can occur at the valvular, subvalvular, or supravalvular level. In general, there is an obstruction to forward flow which increases afterload, and if untreated, can result in hypertrophy, dilatation, and eventual failure of the left ventricle. In the United States, most cases of LVOT obstruction are congenital in individuals younger than 50 years of age. Jonathon Leipsic, M.D., FSCCT, professor of radiology and cardiology at the University of British Columbia, Vancouver, Canada, and an expert in transcatheter valve imaging. He spoke about his experiences with TAVR and TMVR trials and devices planning at the the Society of Cardiovascular Computed Tomography (SCCT) 2018 meeting. Subaortic stenosis is narrowing at the level of the aortic valve. It may be due to a discrete ridge or fibrous ring encircling the LVOT. This fibrous membrane may extend onto the aortic valve cusps and make contact with the ventricular side of the anterior mitral leaflet. The obstruction may be focal or more diffuse, resulting in a tunnel leading out of the left ventricle. The discrete form is most common. Complex subaortic stenosis can also be seen which leads to abnormal adherence to the anterior leaflet of the mitral valve to the septum and the presence of endocardial tissue in the LVOT. These type of obstructions are commonly seen in patients with ventral septal defects (VSDs). Left ventricular outflow tract obstructions involve stenotic lesions starting in the anatomic left ventricular outflow tract and stretching to the descending portion of the aortic arch. Obstruction can be valvar, subvalvar, or supravalvar. Obstructions to forward flow can present alone or in concert. All of these lesions result in increased afterload on the left ventricle and if severe, result in hypertrophy and eventual dilatation and failure of the left ventricle. These lesions are usually congenital in the vast majority of individuals younger than 50 years. All patients with left ventricular outflow tract obstruction at a high risk for developing infective endocarditis and prophylaxis should be instituted. Bicuspid aortic valve is one of the most common congenital cardiovascular malformations, present in about 1% to 2% of the population and more common in males. BAV can be inherited, and family clusters have been documented. In those cases, inheritance patterns are usually autosomal dominant with variable penetrance. A mutation in the NOTCH1 gene has also been described. BAVs arise from abnormal vasculogenesis and cusp formation, resulting in the formation of 1 smaller cusp and one larger cusp. More commonly, the right and left coronary cusps are fused. BAV is usually progressive, and most valves function normally until later in life. The abnormal valve formation leads to increased leaflet stress, more turbulent flow and restricted motion which leads to accelerated valve changes including scarring, calcification, aortic stenosis, and regurgitation. BAV is associated with dilation of the ascending aorta and increased risk of aortic dissection. The most common complication of BAV is aortic stenosis. WASHINGTON, March 23, 2018 — Edwards Lifesciences Corporation (NYSE: EW), the global leader in patient-focused innovations for structural heart disease and critical care monitoring, today announced that the United States Patent and Trademark Office (USPTO) decided in Edwards’ favor in an Inter Partes Review (IPR) of Boston Scientific’s U.S. transcatheter heart valve patent, number 8,992,608 (the ‘608 patent). The USPTO determined that all claims of the ‘608 patent that have been asserted against Edwards are invalid. The ‘608 patent was asserted against Edwards in a case filed by Boston Scientific in Delaware in 2016. Subsequently, Edwards asserted three of its own foundational transcatheter heart valve patents against Boston Scientific. The Edwards patent claims are unaffected by the USPTO’s ruling and will continue to trial, which is expected later in 2018. Acquisitions of small players marks the ENTRY of Edwards LifeSciences into the Mitral Valve Repair Market, following MAJOR success in TAVR. $690 million buyout of Valtech Cardio, 1/2017 – It does not include Valtech Cardio’s trans-septal mitral valve replacement program; that business is slated to be spun out on its own before the buyout’s closing, expected in early 2017, but Edwards said last year that it’s due to keep an option to buy. Irvine, CA-based Edwards is paying $100 million upfront and committing up to $150 million in milestones over the next 10 years to acquire Harpoon. The takeout comes two years after Edwards picked up the option to buy Harpoon as part of a deal that saw it invest in the startup. The HARPOON system is designed to facilitate echo-guided repair of mitral valve regurgitation, by stabilizing the prolapsed mitral valve leaflet to restore proper coaptation and valve function. The HARPOON device is currently investigational and not available for commercial use. It is expected to receive CE Mark approval soon. Edwards will discuss the HARPOON technology further at its annual Investor Conference on Dec. 7. Edwards Lifesciences (NYSE:EW) said yesterday that it closed the $690 million buyout of Valtech Cardio and most of the heart valve repair technologies it’s developing. Valtech makes the Cardioband device, which is designed to reshape the mitral valve using specially designed anchors. The deal, announced in November 2016, calls for $340 million in up-front cash and another $350 million in milestones over 10 years. It does not include Valtech Cardio’s trans-septal mitral valve replacement program; that business is slated to be spun out on its own before the buyout’s closing, expected in early 2017, but Edwards said last year that it’s due to keep an option to buy. Or Yehuda, Israel-based Valtech was the target of a previous takeover attempt by HeartWare International that was spiked early this year after a proxy war. (HeartWare itself was acquired by Medtronic (NYSE:MDT) for $1.1 billion in August.) Valtech won CE Mark approval in the European Union for Cardioband in September 2015 but the device is not approved for the U.S. market. 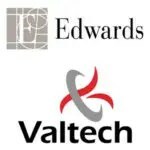 “We look forward to the Valtech team joining Edwards. We believe their knowledge, experience and the Cardioband technology are valuable additions to Edwards,” Edwards chairman & CEO Michael Mussallem said in prepared remarks. Edwards Lifesciences bought CardiAQ Valve Technologies and its mitral valve device for $400 million last August. Shares in Edwards have plummeted today in mid-day trading, down 9.1% at $89.06 as of 12:45 p.m. EST. Last month, Edwards said it closed the $690 million buyout of Valtech Cardio and most of the heart valve repair technologies it’s developing. 12. Aging and Heart Disease: Can we reverse the process? Mild or Severe (4 Million in the US, alone). Mitral Regurgitation (MR) – imperfect closure of the valve permits blood from LV to return back towards the lungs. senile calcific degenerative disease causing enlargement of the LV, infection or Trauma. senile calcific degeneration – obstruction to the forward flow of blood resulting in increased fluid pressure inside the lungs. Ability to perform a Percutaneous repair on a Mitral Valve with same degree of accuracy and reproducibility as a Percutaneous repair on an Aortic Valve — will remain a challenge. Percutaneous repair on a Mitral Valve need to overcome the complex structure and integrated relationship with the LV. transcatheter structural heart disease technologies. Valtech won CE Mark approval in the European Union for Cardioband in September 2015 but the device is not approved for the U.S. market. IRVINE, Calif., Jan. 23, 2017 – Edwards Lifesciences Corporation (NYSE: EW), the global leader in patient-focused innovations for structural heart disease and critical care monitoring, today announced that it has closed its acquisition of Valtech Cardio Ltd., a privately held company based in Israel and developer of the Cardioband System for transcatheter repair of the mitral and tricuspid valves. Edwards announced in November that it had signed an agreement to acquire Valtech. Under the terms of the merger agreement, Edwards paid $340 million in stock and cash for Valtech at closing, subject to typical adjustments. In addition, there is the potential for up to $350 million in pre-specified milestone-driven payments over the next 10 years. Edwards’ financial guidance provided at its Investor Conference in December incorporated the expected financial impact of the transaction in 2017. The Cardioband System is not approved for sale in the United States. The mitral application of the Cardioband System has received CE Mark in Europe. Edwards Lifesciences, based in Irvine, Calif., is the global leader in patient-focused medical innovations for structural heart disease, as well as critical care and surgical monitoring. Driven by a passion to help patients, the company collaborates with the world’s leading clinicians and researchers to address unmet healthcare needs, working to improve patient outcomes and enhance lives. For more information, visit http://www.edwards.com and follow us on Twitter @EdwardsLifesci. Read the article “First TAVR Device Receives European Approval to Treat Intermediate Risk Patients”from August 2016. Watch the video “The Evolution of TAVR Technology.” Interview with Juan Granada, M.D., executive director and chief scientific officer of the Cardiovascular Research Foundation’s Skirball Center for Innovation, at the Transcatheter Valve Therapies 2015 meeting. Watch the video “TAVR Beats Surgery — Top News From ACC.16.” Dr. Vinod Thourani, professor of surgery, Division of Cardiothoracic Surgery, Department of Surgery, Emory University School of Medicine and a co-investigator for the PARTNER II Trial, discusses the biggest news item from ACC.16 — the Sapien 3 TAVR device performed better that surgical aortic valve replacement. Watch the video “CoreValve Trumps Surgical Valve Replacement — TVT 2015.” Interview with Michael Reardon, M.D., professor of cardiothoracic surgery at DeBakey Heart and Vascular Center, and chairman of the patient screening committee, CoreValve U.S. pivotal trial, at the Transcatheter Valve Therapies 2015 meeting. Most interventional and cardiac surgical experts say TMVR will be the next frontier in minimally invasive structural heart interventions. With the success and rapid growth of TAVR, there is an immense anticipation that TMVR will have an even greater impact in cardiology. This has translated into more than $2.5 billion being spent in the past year by vendors purchasing start-up TMVR companies, while less than 50 patients have actually been treated using these technologies, said Michael Mack, M.D., medical director, cardiovascular surgery, Baylor Health Care System and chairman of The Heart Hospital Baylor Plano Research Center. However, the mitral valve involves much more complex anatomy than the aortic valve, so the devices, imaging for procedural planning and guidance will be much more sophisticated than what is used for TAVR. Among the challenges are: fixation of a device to the very small landing zone of the mitral annulus; avoiding the left ventricular outflow tract (LVOT); avoiding compression of the atrioventricular (AV) node; avoiding the papillary muscle and chordae tendineae; ensuring the device seals properly to avoid paravalvular regurgitation; and the device needs to be able to adapt to remodeling of the anatomy. There are more than 20 TMVR devices in development. The majority of these valves utilize a self-expanding nitinol frame that engages both sides of the native mitral valve annulus for fixation, similar to Amplatzer septal closure devices. The companies with first-in-human TMVR implants include Tendyne, Neovasc and Edwards Lifesciences’ Fortis and Sapien XT devices. The Neovasc Tiara, Tendyne Bioprosthetic Mitral Valve and CardiAQ Valve Technologies TMVR system all have been granted FDA conditional investigational device exemption (IDE) studies. Watch the video “Transcatheter Mitral Valve Repair Technologies.” An interview with Ted Feldman, M.D., FACC, MSCAI, FESC, cardiac cath lab director, Evanston Hospital, North Shore Health System, and principle investigator, Everest II MitraClip U.S. pivotal trial, at the Transcatheter Valve Therapies 2015 meeting. Watch the video VIDEO “Transcatheter Valve Technology Advancements at TCT 2016.” This is an interview Torsten Vahl, M.D., about advancements in transcatheter valve repair technology, including new devices for the aortic, mitral and tricuspid valves. Vahl is director of experimental and translational research and assistant professor of medicine, Columbia University Medical Center, Center for Interventional Vascular Therapy. Watch the video “VIDEO: Transcatheter Mitral Valve Technology, Anatomical Challenges.” A discussion with Juan Granada, M.D., about transcatheter mitral valve advancements and device challenges at the Transcatheter Cardiovascular Therapeutics (TCT) 2016 annual meeting. Granada is executive director and chief scientific officer of the Cardiovascular Research Foundation’s Skirball Center for Innovation.